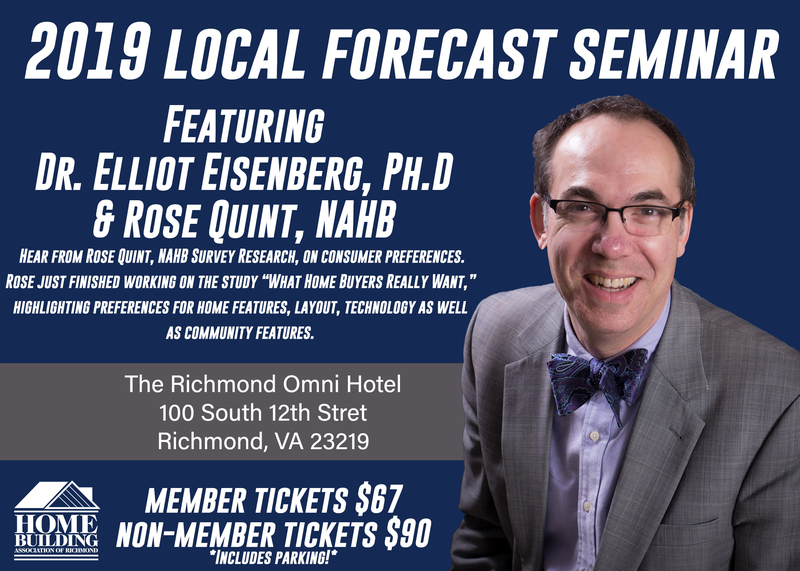 The Home Building Association of Richmond (HBAR) is bringing back by demand two top housing market forecasters to speak to an audience of 400 on February 1, 2019. HBAR will also announce the highly anticipated Top 10 Builder Members for 2018. Rose Quint from NAHB will also be presenting survey research on consumer preferences. The Study is titled "What Home Buyers Really Want" and it highlights preferences for home features, layout, technology as well as community features. Do not miss the premier home building forecast of the year. Register before it sells out! Cancelations accepted until January 25. Space is limited.